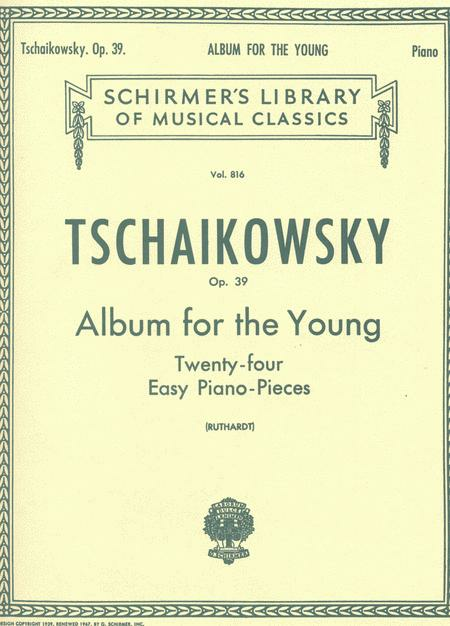 Schirmer Library of Classics Volume 816 Piano Solo. Composed by Peter Ilyich Tchaikovsky (1840-1893). Edited by A Ruthardt. Arranged by Adolf Ruthardt. Piano Collection. Classical Period. Collection. With standard notation, fingerings and introductory text (does not include words to the songs). 32 pages. G. Schirmer #LB816. 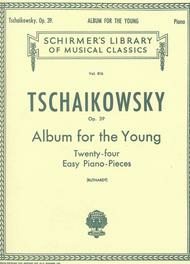 Published by G. Schirmer (HL.50256480). This title has selections that range in difficulty from SMP Level 4-5. I believe that this is a very useful pedagogical tool, not to mention lovely music.